Metaphors are powerful vehicles of communication. They synthesize amounts of information into a single, unified package. Perhaps less obvious, they encourage us to SCREEN OUT aspects of a phenomenon that DO NOT FIT with the chosen metaphor. Such is the case with the metaphor we currently use to describe divorce and remarriage. The current metaphors prevent us from seeing important aspects of the divorce/remarriage process and discourage us from moving forward to a more sophisticated understanding of this intensely personal, yet very social, phenomenon of marital transition in the early 21th century. These metaphors describe divorce and remarriage as essentially a bad thing, i.e., a series of events that are evidence of problems within the individuals concerned or society in general. In stark contrast to the images of the first marriage family: the proud family portraits, Norman Rockwell dinners, and The Cleavers, images of the divorced family include the broken heart, shattered glass on the family photo or the photo torn down the middle. The divorcing couple is perceived as of the “Me Generation”, indulging in out-of-control conflict for selfish, petty reasons, out of touch with the impact of this conflict on their broken-hearted children. Images associated with the stepfamily include Cinderella and the wicked stepmother, the romantic new couple and the abandoned child, or suitcases at the bedroom door. Although these metaphors are extremely negative, they are not entirely inaccurate. They describe well the damage to children, adults, and family associated with divorce. Thirty years of study on divorce has clearly identified risk factors: family finances may be seriously affected, parenting relationships may be stressed, damaged or lost, children may begin a series of rapid changes to include loss of family home, neighborhood, and extended family. Creating a stepfamily can also include risks. Adjusting to new stepparents, stepsiblings, shared resources, shared parenting, coordinating family life with a former spouse, etc. can be stressful for everyone. The average length of a marriage in the late 1700s was only 7 years. As life expectancy in 1850 was on average, only 40 years, marriages were generally ended by the death of one of the spouses before the 10-year mark. As marriages were predominantly ended by the death of a spouse, the surviving spouse was not faced with having to work out custody and access, child support and co-parenting relationships with the deceased. Remarriage rates were very similar to those today. Furthermore, in the 1800s, 50% of children had lost one or both parents by the time they reached 13 years of age. Our current metaphor suggest that the “intact”, “natural”, “real” family is always the best for children and that the “broken home” of the failed marriage is always bad. There is, however, growing research evidence that for children, divorce and remarriage may not be the universally negative and damaging events they were once assumed to be. There are considerable risks for children who experience prolonged exposure to their parents’ conflict within a first marriage. After at least two decades of research, Hetherington (1987) suggest that children may be winners, losers, or survivors of their parents’ divorce and remarriage. Issues of temperament, conflict, and resources may influence the divorce experiences so much that the issues of divorce itself tell us little. Many children do not appear to be negatively affected at all. In a review of more than twenty studies that compare the well-being of children in nuclear, sole parent, and stepfamilies, Ganong & Coleman (1993) found that while children in nuclear families tended to do slightly better, the differences between the types of families was so small as to be nearly irrelevant. These researchers recommended that comparing families by family structure was not useful. Asking why some families and some children did so much better than others was a more useful question. Finally, in another study (Fendrich et. Al. 1990) researchers found that psychiatric diagnoses for children were much more strongly associated with parental depression than with whether or not the children’s biological parents were still married to each other, divorced or remarried. Children whose parents were not depressed were still eighteen times more likely to have psychiatric problems when they had been exposed to their parents’ marital conflict over the long term. These findings challenge two fundamental aspects of the “broken / damaged/ failed” metaphor. First, divorced families would be problem-free if only the divorce had not occurred. The nuclear family structure, i.e. biological parents married to each other, does not guarantee the emotional and social well-being of children, particularly in high-conflict nuclear families. Second, divorce and remarriage cannot be assumed to be either good or bad. It is not the structure of a family but rather the quality of relationships within it, both between spouses and between parents and their children that are most important. Extending our metaphor allows us to focus on what really makes a difference in children’s lives and adult’s lives, rather than getting pulled into a political or moral debate on divorce and remarriage. 1. The quality of relationship health matters, just as the quality of physical health matters. 2. As a society we can direct resources toward the prevention of divorce, just as we work toward the prevention of surgery. We can do preventive work through education by teaching our children about relationships and addressing relationship styles and conflict resolution skilss with our teens and young adults. We can fund marriage preparation courses. Once married, we can take our relationship vitamins (couple groups, retreats). If we’re not feeling well in our marriage, we can tend to our relationship by getting some help (friend, mentor, elder, lay counselor). If our marriage gets really unwell or sick, we can keep trying with more intensive help (therapy) to get it back into a loving, fulfilling relationship. 3. If we have tried everything possible over a sufficient period of time and the relationship is still unwell, it is likely that it will continue to be unwell and/or get worse. We know that people cannot not change. Eventually, something will have to give. Physical, emotional, relational, or spiritual difficulties are likely to increase. Many times our parenting will suffer because our children see us when we are tired, angry, despondent, and ultimately depressed. Perhaps more importantly, these elements cannot but influence our ability to show our children our joy and love for them, as the research on the profound effect of parental depression and marital conflict on children suggests. 4. If marital separation and divorce are chosen as the best option, then perhaps we as a society could offer the same resources as we would for someone undergoing major surgery. ([i]See collaborativepractice.com for an enlightened model for families.) In the case of surgery, there is first a careful assessment of the problem. There is education about what to expect. The intervention is done professionally, in a caring environment with sterile equipment to reduce the possibility of infections. Post-operative care is provided until the patient is able to return to self-sufficiency. In many cases we do not have to evaluate the effectiveness of the surgery to improve a declining quality of life until well into the recovery process. Friends and family come in close to help. Sometimes they send flowers. 5. Using this metaphor, we can finally set the place of remarriage within the recovery process. Most people who divorce will enter into another intimate relationship with another adult. From within a recovery metaphor, wouldn’t we want this for them, given the long lives we are now projected to live? By keeping an eye on the big picture, we can see that families can navigate the end of the couple relationship, continue effective co-parenting relationships, AND create successful stepfamilies. Like recovery from a surgery, it is not always easy (though remarkably, sometimes it is, we just don’t hear about it). However, compared to the actual situation prior to the decision to separate, the quality of family relationships may well have a greater likelihood of developing in positive directions than if the no surgery option had been chosen. 6. From a societal perspective, this metaphor allows us to acknowledge the importance of divorce and remarriage as honorable institutions within our society AND AT THE SAME TIME support all avenues that would steer us away from having to use them. We can appreciate having a hospital in our community and work toward good health. We can support divorce and remarriage as legitimate social institutions and still work toward strong, loving and fulfilling relationships. 1. Seeing post-divorce families and stepfamilies as broken, damaged, failed or wrong supports prejudice and bias by family structure. This may be the last “ism” – family structure-ism: a frame of reference in which divorce and remarriage are always considered bad no matter what. When we see the individual or family by virtue of the structure only, systematically not seeing anything else we are prejudiced. 2. To continue to focus on family structures hides the power of the quality of family relationships in our lives. For children, a more important question is the quality of parenting relationships they have, not the structure of their families. Although marital transition, like surgery, includes risks, no divorce cannot guarantee high quality home environment for children. 3. To maintain the broken, damaged metaphor keeps all responsibility for this massive social phenomenon with the individuals involved and allows social institutions like governments, schools, hospitals, churches, the legal system and even family therapy from dealing with their influence on the quality of family life. It also prevents us from considering divorced families and stepfamilies on a societal rather than a personal level. [i] Collaborative Practice is a model for dispute resolution that has been applied extensively to families experiencing separation and divorce. In this model, each family has access to the team of professionals that best meets their needs and their unique situation, to assist them to navigate the transition of divorce. A cornerstone of this process is the signing of the Participation Agreement that keeps everyone out of court. Once an out of court process has been established, families can have the benefit of the ‘non-adversarial’ advocacy of Collaborative Lawyers, many of whom have years of mediation and conflict resolution training and experience. Interdisciplinary teams can also be created that include family therapists who work as ‘Divorce Coaches’ to support the development of strong parenting plans and the communication needed to make them work. Financial specialists can also be included to help with understanding financial decisions in the present that last through the future. Lastly, and perhaps most importantly, child therapists acting as Child Specialists can be included to give the children a neutral forum to express themselves and to bring the children’s voice to the parents and the team to support developmentally appropriate decisions. In only a few years, Collaborative Practice has taken hold in 24 countries world wide. The development of practice groups around the world has created a vibrant interdisciplinary community of professionals who specialize in separation, divorce and post-agreement conflict and who are committed to further developing this work to achieve more family friendly, efficient and life enhancing futures for families. Collaborative Practice is also expanding to include civil disputes and wills and estates. See collaborativepractice.com for more information and to find a practice group in your area. Fendrich, M. (1990). Family risk factors, parental depression and psychopathology in offspring, Developmental Psychology, 26, (40). Ganong, L. & Coleman, M. (1993). A meta-analytic comparison of the self-esteem and behavior problems of stepchildren to children in other family structures. Journal of Divorce and Remarriage, 19, 143-163. Kelly, J.B (2000). Children’s adjustment in conflicted marriage and divorce: A decade review of research. Journal of Child and Adolescent Psychiatry, 39, (8), 963-973. 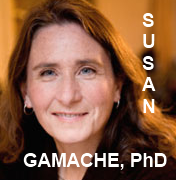 Editors’ note: We are working to have a video interview with Dr. Gamache in the near future. Make sure you are on our mailing list so you don’t miss it. Thank you all for your taking the time to read this conceptual piece and to comment. Thank you sharing your concept of the Health & Wellness Metaphor for our thinking of marital relationships (and carl Michael, thank you for giving the opportunity to read it here in World of Collaborative Divorce magazine). Your ideas mesh very well with the vision and philosophy behind The Divorce Expo, of which I am one of the executive producers. You have given me ideas to integrate into the programming in future expos that I’d love to further explore. Most of all, your metaphor also provide us different language to use for appealing to both our ‘consumer’ audience and our ‘professional’ audience to consider participating in our efforts to break through the existing metaphors, whether online or in person during our events. I look forward to monitoring the comments and possibly engaging in additional dialog outside this particular platform. I have lots of thoughts but the one I want to share (I need a second cup of coffee this morning) is that I see an integral interrelationship between your Health and Wellness Metaphor and the Flexibility / Rigidity Continuum that Lisa Herrick and Kate Scharff present in their book, Emotional Currents. 1. Create a container that is safer or more supportive of our clients on more levels. 2. Decide which allied professional to add, not only just a Coach, Child Specialist, or Financial, but WHICH one to suggest in terms of finding a good fit with the clients based on where they fall on the Health and Wellness Continuum. Thanks for generating the dialogue, Susan.